Nose: First thought: Full fruity cherry and pleasant tart and spicy wood flavors. In the second run you will find a nice vanilla / honey and cinnamon note as well as some cloves / nutmeg and lovage, which join the bitter tea flavors of the oak. In general, the drop reminds me a little bit of Christmas and I associate my oranges superficially with orange peel. Generally the drop is balanced fruity-tart and also pleasantly sweet in the nose. In the course of the nose is somewhat vinous and increases in the wort, which I find very pleasant. 3-4 drops of water: The nose changes slightly in the direction of orange and the spice remains present, but moves back into the background. A very pleasant bitter almond or apricot kernel develops in the glass, which combines associated vanilla and tart oak flavors. Taste: Soft, voluminous and only slightly tingling, the drop settles on the tongue. Spicy and roasted aromas accompanied by a pleasant fruit in the form of fruity, sour orange that lingers for a long time in the mouth. The fruit is present but not overcharged but discreet and completes the wonderfully spicy aromas. Warming, the drop migrates down the esophagus, develops aromas of dark chocolate and is in no way very bitter. A residual sweetness and tender bitter note remain present on the tongue for a long time. 3-4 drops of water: Spicy, fruity and slightly dry in the mouth. Orange is in my opinion a little more present and tingles with light acid on the middle of the tongue. Roasted hazelnuts and the slight bitterness of walnuts are to be felt. In the aftermath, a pleasant vanilla note is released, which merges with the already identified bittersweet notes. Conclusion: really delicious and harmoniously complex. A malt to my liking, but it takes some time in the glass. 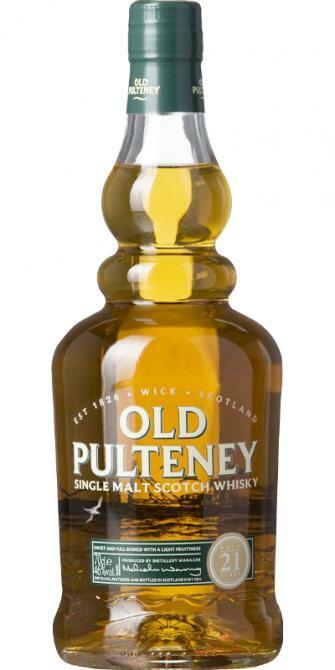 Whisky is emotion, and Old Pulteney is emotion to me. This has been such an important malt in my whisky journey, it sort of makes me sad drinking this with the knowledge it will soon disappear of shelves forever. Creamy vanilla with freshly cut sour apples, pineapple, oranges and feint wood shavings. A small amount of candle wax, nougat and fudge as well. wonderfully balanced. Velvety with oranges, lemon peel and a fair bit of salt. Classic. Some furniture polish, with cinnamon and pepper. Plenty of depth and the drinking strength is excellent at 46 percent. Subtle spices, oak and vanilla. Medium to long. Nose immediately wine. Sour, but moderate .. Not sherry. Rather, Sauternes, although the color votes for sherry ... There are no elusive and complex compositions and other "unicorn popes" here ... It is rather monosyllabic and flat ... First sip and ... Soft, not protruding, no alcohol at once to like it), but it is immediately clear - there will be no magic. Not disgusting, not drunk, not a star of delight ... Solid "not"
Summary: 40-43%, 8-10 years old, wine finish 6-12 months ... What else? Easy, with a weak body, but a good balance ... 85 from me. 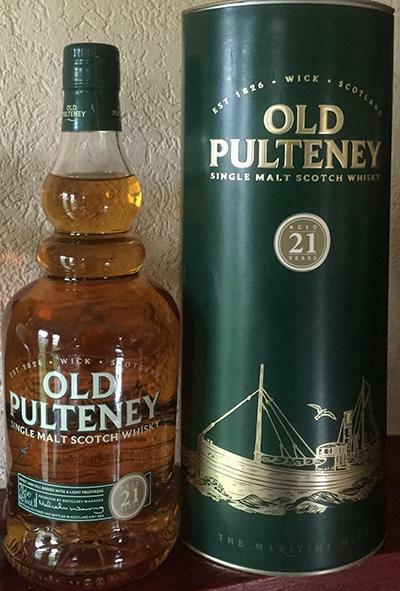 If you are not sensitive to the somewhat grassy and bitter finish it's a wild, unique, rich, fino sherried whisky. Too bad it has been discontinued and the 25yo replacing it is 3X the price. Shy but quite complex. Honey, beeswax, leather, apple cider, lemons, creamy chocolate, coffee, ocean spray, eucalyptus. Loses some points for being shy. Sweet, malty, spicy, salty... a roller coaster of a whisky. Honey, golden raisins, barley, spicy oak, milk chocolate, seawater, lemon zest. Fairly long, salt, quite grassy and bitter for a moment, but then tamed by honey sweetness and golden raisins. Beautiful tingling fruity whisky. Very cute. Comes much younger than he is.